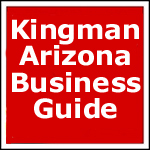 Welcome to the Downtown Kingman, Arizona which has many shops, services and restaurants. A happy friendly place with something for almost anyone. Click here for a list of merchants and lots of photos!